Caring for someone with dementia isn’t intuitive and doesn’t come naturally. There’s a lot to learn, but you don’t have to figure everything out the hard way. In a helpful article at Verywell, social worker Esther Heerema shares 12 dementia care tips that caregivers have learned and wished they’d known sooner. This advice isn’t meant to add pressure or expectations to your already tough job. They’re tips from caregivers who have “been there and done that” that can lighten your load, reduce stress, and help you cope with the challenges. Here, we share highlights from Esther’s article along with some of our own insights. Alzheimer’s and dementia causes your older adult’s brain to malfunction. When they say things that don’t make sense or are clearly untrue, they believe what they’re saying because it’s what their brain is telling them. It’s frustrating to hear things that aren’t true and instinctive to try to correct or remind. But that will only lead to both of you arguing or getting upset. And you simply can’t win an argument with someone who can no longer use reason or logic consistently. When you notice your older adult struggling with memory, thinking, or judgement, it’s scary to think that they might have dementia. Because it can be so hard to accept, many people hope that the symptoms will go away on their own or that they’re mistaken. But the situation isn’t going to fix itself. The best thing to do is have them see their doctor for a thorough exam. First, there are many treatable health conditions that cause dementia-like symptoms. Second, even if dementia has no cure, early diagnosis means that treatments will be more effective and could delay progression, reduce symptoms, and improve quality of life. Medications prescribed to relieve symptoms can sometimes make dementia symptoms worse or create new problems, like increasing disorientation or agitation. This can happen because seniors are at higher risk for problems related to medication side effects or drug interactions. Dementia can also change how certain medications affect the brain. To reduce medication-related problems, call the doctor if you suspect that a new medication is causing a problem and ask them to find alternatives that could work better. It’s also essential to have the doctor regularly review all medications and supplements to make sure every single one is still needed. Dementia care experts recommend joining your older adult in their reality rather than trying to force them back into ours. Trying to get them to understand facts or our reality usually causes confusion, anxiety, fear, and anger. Someone with dementia may insist that they’re children waiting for their mother to pick them up, they need to get to the office even though they’re retired, or they’re going to visit a relative who passed away long ago. Instead of telling them that they’re wrong, use validation therapy or therapeutic fibs to kindly respond to their version of reality. Gently ask an open-ended question about the person they’re going to see or activity they want to do. Or join their reality by saying OK, going along with the scenario for a while, then redirecting to a different activity. Validating their reality and allowing them to express their thoughts helps them feel calmer and happier. After finding out that your older adult has dementia, it might seem like improving brain health would be useless. But healthy habits can truly help a brain with dementia. It’s possible to slow the progression of the disease, reduce symptoms, and improve quality of life. Getting regular physical exercise, doing things that are mentally stimulating, and participating in engaging activities all help to improve brain health. Caregiving, especially dementia care, can be a lonely and exhausting job. Instead of doing everything alone, talk about your challenges and reach out to people who can help. It can be difficult to seek out or accept help, but caregivers who have gotten help often wish they’d done it sooner – it’s worth a try. Knowing that you’re not the only one going through this or getting a few hours of rest can make a big difference. That could mean asking family or friends to step up, hiring in-home care, moving to a care community, using respite care, or joining a caregiver support group. 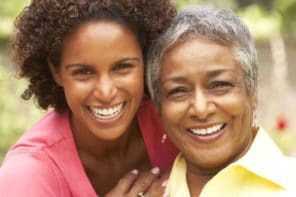 If you’re not sure where to start, call the Alzheimer’s Association or contact your local Area Agency on Aging to connect with local caregiving resources. When caring for someone, it’s instinctive to focus 100% on them…until you get burned out. But that’s not good for you or your older adult. It’s not realistic to take long vacations or hours for yourself each day, but you’d be surprised at how effective short breaks can be. Doing something for yourself, whether it’s 30 seconds, 5 minutes, or an hour will help you recharge and reduce the risk of burnout. Get 10 practical ideas for short breaks here. Because you care so much about your older adult, you want to do as much as you can, as perfectly as you can. But holding yourself to those unrealistic expectations causes frustration, resentment, and exhaustion. Instead, save your mental and physical health by picking your battles. Choose the top priorities and let the less important things go. Think about how important that thing will be in a week, month, or year. 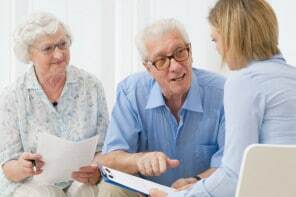 Taking care of important legal documents like a will, living will, or power of attorney is something that many people want to put off. But talking about end of life choices and getting the paperwork done before a health emergency saves you from making hard choices or running into legal problems in the middle of a crisis. Plus, many older adults have greater peace of mind when they know their wishes will be honored. Dementia can’t be seen from the outside, so many people assume that the person can actually control their difficult or irritating behavior. It’s natural to think their actions are personally directed toward you. That’s not true. Dementia physically damages the brain, which can affect personality, behavior, decision-making, and judgment. Knowing that it’s the disease talking can help you take things less personally, reduce the sting of hurtful accusations, or help you stay calm when they’ve asked you the same question for the 37th time. If you’re helping your older adult with an activity of daily living and they get agitated or combative, it can help to stop and take a short break. Rather than fighting through and making the situation worse, stepping away to give them (and you) time to calm down can make a big difference. Make sure they’re safe on their own and go to another room for 20 minutes. When you come back and approach calmly, they’ll often be more cooperative. For example, if mom starts yelling and pushing you when you announce that it’s time for a shower, give her some space and come back to it in a little while, perhaps using a different approach. This won’t always work, but it often does so it’s worth a try. It isn’t easy to cope with dementia, both for you and your older adult. But finding ways to enjoy life and having good quality of life is still possible. You don’t have to pretend that the challenges and pain don’t exist. Try to focus on the positives, no matter how small, and adapt activities for the abilities they still have.